With Justice League opening in theaters just hours from now, the film has been part of a mild controversy this week, with Rotten Tomatoes withholding its TomatoMeter score. The score already leaked, standing at 46% rotten. While that is certainly not the score Warner Bros. was hoping for, another controversy has surfaced. 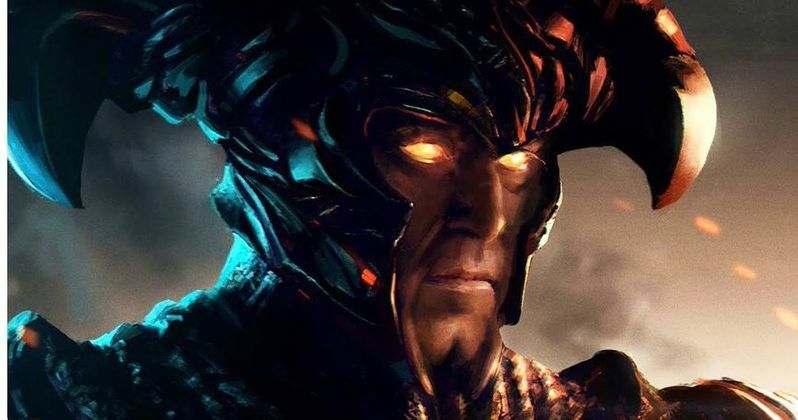 Filmmaker Joss Whedon, who reworked the script and directed the reshoots after Zack Snyder backed away from the project due to a family tragedy, liked a tweet that bashes the movie's villain, Steppenwolf. This has not gone unnoticed by DC fans, who have taken the director to task on Twitter, not only for liking a tweet that disses the villain, but for not publicly offering any support for the movie whatsoever. The tweet in question that Joss Whedon liked came from Vanity Fair critic Joanna Robinson, who stated on the social media platform that, "Steppenwolf is the worst comic book movie villain of all time and not even Malekith the Accursed comes close," referencing the oft-criticized villain in Marvel's Thor: The Dark World. A Twitter user's likes can be seen by anyone, including DC fans, who became quite enraged when they learned that Joss Whedon, who has a writing credit on Justice League, essentially endorsed a tweet that tears into the villain of the movie he actually worked on. Here's what one fan, Twitter user JesabelRaay, had to say in her tweet, which included a screenshot of the Likes section on Joss Whedon's Twitter that showed him liking Joanna Robinson's tweet. "[Joss], you are absolutely repulsive. How dare you even like this tweet? Your fingerprints are all over this film & you have yet to voice out any kind of support for it. You are despicable & you have singlehandedly ruined @ZackSnyder's #JusticeLeague." Joss Whedon also liked Joanna Robinson's tweet in response to another user, who stated that Steppenwolf reminded him of Tim Curry's character in Legend, where Joanna Robinson stated that it "made it worse." One fan even called the director out for praising Thor: Ragnarok more than he has praised Justice League, which is in fact true, since he did sent out a tweet in late October after catching an early screening of Thor: Ragnarok, which he called a "modern masterpiece" while praising director Taika Waititi. Since the filmmaker has still yet to say anything publicly about Justice League, some fans clearly think that his silence speaks volumes about what he really thinks about the movie, and his liking of a tweet tearing into the villain of Justice League hasn't helped matters much either. One fan, Navinpraveen93, even brought DC Films presidents Geoff Johns and Jon Berg into the conversation, calling director Joss Whedon, "an absolute disgrace to DC fandom," while another, fan, Juan Cieri, called for Warner Bros. to fire Joss Whedon from the Batgirl movie he's directing. There are also others, though, who came to the embattled director's defense, stating that he has the right to criticize any movie, even one that he worked on. You can take a look at a selection of tweets discussing this Joss Whedon controversy, beginning with the JesabelRaay Twitter photo that started it all. Cancel everything related to Batgirl until they find a new director. @geoffjohns@thejonberg Joss Whedon is an absolute disgrace to DC fandom. Y’all DC fanboys/girls need to stfu about Joss Whedon. Just because he did rewrites/reshoots on JL doesn’t mean he’s forefitted his right to agree with criticisms of his own work or criticize them himself. Don't see why Joss is getting all the hate from DC fans cos the movie is an average one . Even BvS , MoS were just " okay "
Joss is not a miracle worker. I think he's been largely quiet out of respect to what happened with Snyder. Imagine being his position. He comes in due to a tragic emergency and does what he can to finish the film. I don't blame him for bowing down to the studio at all. He did what he had to do. If you're mad, you should be mad at the execs at Warner Brothers, who have a habit of getting really involved with these films and it's proven to be very detrimental.